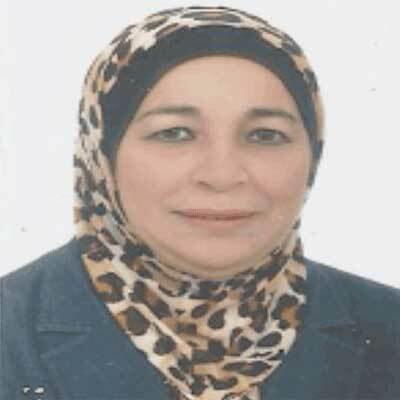 Dr. Nabila Elsayed Abdelmeguid is currently working as Professor at Alexandria University, Egypt. She has completed her Ph.D. in Histology from same University. Previously she was appointed as Assistant Professor in Zoology department at Girls Collage-Jeddah. She is professional member of the committee for High Council Promotion of Assistant Professors, Examiner to Azhar Council Promotion, Journal of Medical Genetics and Genomics (JMGG), Egyptian German Society Cairo Egypt, Union Arab Biological Society Cairo Egypt, Egyptian Zoological Society, Electron Microscope Society, Journal of Evolutionary Biology Research, and Journal of Medical Genetics and Genomics, and Microscopy Research and Technique. She has 63 publications in journals. Dr. Nabila received honors includes Prize of Alexandria University, Prize of Alexandria University, Nominated for the year 2003 LOREAL awards with the support of UNESCO for women in science, and Nominated for the SESCO of Science. Abd El Moneam, N.M., N.E. Abd El Maguid, A.M. El-Sikaily, M.G. Zaki and M.A. Sheradah, 2016. Biomarkers and ultra structural evaluation of marine pollution by polycyclic aromatic hydrocarbons. J. Environ. Prot., 7: 1283-1304. Kourtian, S.G and E.A. Nabila, 2015. Serum of mothers having autistic children induces cerebellar purkinje cell alterations in experimental model: A possible cause of autism. Autism Open Access, 10.4172/2165-7890.1000145. Roumieh, R., A. Barakat, N.E. Abdelmeguid, J. Ghanawi and I.S. Patrick, 2013. Acute and chronic effects of aqueous ammonia on marbled spinefoot rabbitfish, siganus rivulatus (Forsskal 1775). Aquacult. Res., 44: 1777-1790. Abdelmeguid, N.E., S.R. Rana, A.B. Abir and P.S. Imad, 2013. Impact of elevated aqueous ammonia on liver of rabbitfish, siganus rivulatus. histopathological and ultrastructure studies. J. Environ. Sci. Toxicol. Food Technol., 6: 19-31. Abdelmeguid, N.E and G.K. Silva, 2012. Subcellular disorders associated with autism peripheral blood. Asian J. Biol. Sci., 5: 221-239. Abdelmeguid, N.E., R. Fakhoury, S.M. Kamal and R.J. Al-Wafai, 2011. Effect of Nigella sativa L. and thymoquinone on streptozotocin induced cellular damage in pancreatic islets of rats. Asian J. Cell Biol., 6: 1-21. Abdelmeguid, N.E., R. Fakhoury, S.M. Kamal and R.J. Al Wafai, 2010. Effects of Nigella sativa and thymoquinone on biochemical and subcellular changes in pancreatic β-cells of streptozotocin-induced diabetic rats. J. Diabetes, 2: 256-266. Abdelmeguid, N.E., H.N. Chmaisse and N.S. Abuo Zeinab, 2010. Protective effect of silymarin on cisplatin-induced nephrotoxicity in rats. Pak. J. Nutr., 9: 624-636. Abdelmeguid, N.E., H.N. Chmaisse and N.S. Abou Zeinab, 2010. Slymarin ameliorates cisplatin-induced hepatotoxicity in rats: Histopathological and ultrastructural studies. Pak. J. Biol. Sci., 13: 463-479. Essawy, A.E, N.E. Abdelmeguid, M.A. Radwan, S.S. Hamed and A.E. Hegazy, 2009. Neuropath logical effect of carbamate molluscides on the land snail Eobania vermiculata. Cell Biol. Toxicol., 25: 275-290. Abdelmeguid, N.E., H.E. Awad, A.M. Ibrahium and N.A. Yosef, 2009. Ultrastructural changes in hepatopancreas of Palaemon serratus following treatment with petroleum carcinogenic compounds. Pak. J. Nutr., 8: 770-781. Abdelmeguid, N.E., M.H. Mostafa, A.M. Abdel-Moneim, A.F. Badawi and N.S. Abou Zeinab, 2008. Tamoxifen and melatonin differentially influence apoptosis of normal mammary gland cells: Ultrastructural evidence and p53 expression. Int. J. Cancer Res., 4: 81-91. Matta, C.A., A.M. Kheirallah, N.E. Abdelmeguid and A.M. Abdel Moneim, 2007. Effect of water pollution lake mariut, on gonadal free amino acids composition in (Oreochromis niloticus) fish. Pak. J. Biol. Sci., 10: 1257-1263. Hamed, S.S., N.E. Abdelmeguid, A.E. Essawy, M.A. Radwan and A.E. Hegazy, 2007. Histological and ultrastructure changes induced by two carbamate molluscides on the digestive gland Eobania vermiculata. J. Biol. Sci., 7: 1017-1037. Abdelmeguid, N.E., A.M. Kheirallah, C.A. Matta and A.M. Abdel Moneim, 2007. Environmental contaminant-induced spermatozoa anomalies in fish (Oreochromis niloticus) inhabiting lake mariut, alexandria Egypt. Int. J. Applied Environ. Sci., 2: 1-18. Essawy, A.E., N.E. Abdelmeguid, A. Ali and A. Sedky, 2004. Lithium-induced changes in muscles and neuromuscular junctions. Int. J. Biol. Biotech., 1: 655-666. Abdelmeguid, N.E., A.E. Essawy, A. Ali and A. Sedky, 2004. Histopathological and ultrastructural studies on the toxic effect of Prianil C_R (Lithium Carbonate) in mouse kidney. Int. J. Biotech., 1: 641-654. Abdelmeguid, N.E., A.E. Essawy and Y.I. Abdelreheem, 2002. Degeneration of external flexor digitorum muscle following acrylamide administration. Folia Anatomica, 30: 41-47. Abdelmeguid, N.E., A.E. Essawy and Y.I. Abdelreheem, 2002. Acrylamide administration induces neuromuscular junction degeneration. J. Med. Sci., 2: 49-54. Abdelmeguid, N.E., A. Kheirallah, M. Abou-shabana, A. Adham and A. Abdel Moneim, 2002. Histochemical and biochemical changes in liver of Tilapia zillii G., as a consequence of pollution. Online J. of Biol. Sci., 2: 224-229. El-Mofty, M.M., N.E. Abdelmeguid, I.A. Sadek, A.E. Essawy and E. Abdel Aleem, 2000. Induction of leukaemia in chloramphenicol-treated toads. East. Mediterr. Health J., 6: 1026-1034. Abdelmeguid, N.E., I.A. Sadek, J.M. Sorour and A.A. Attia, 2000. Effect of corn oil on liver glycogen content and blood glucose-6-phosphates dehydrogenase in toads treated with DMBA. Pak. J. Biol. Sci., 3: 31-34. El-Sayed, E.K., A.A. Alne-na-ei, N.E. Abdelmeguid and G.A. Yossif, 1999. Experimental studies on the effect of toxicity of lead acetate on the growth and gonado-somatic of Oreochromis niloticus (Linnaeus. 1757). J. Egypt. Ger. Soc. Zool., 30: 1-11. Awaad, A.S., S.M. El-Din, H. Abd El-Halim and N.E. Abdelmeguid, 1999. Electron microscopic and bacteriological study of Heticobacter pylori infection. Egypt. J. Med. Microbiol., 8: 365-371. Abdelmeguid, N.E., I.A. Sadek, J.M. Sorour and A.A. Attia, 1999. Anit-inflammatory drug (indomethacin) and its effect on liver tumor induced by DMBA. Pak. J. Biol. Sci., 2: 1135-1138. Abdelmeguid, N.E., E.A. khallaf, A.A. Alne-nq-ei and G.A. Yossif, 1999. Electron microscopic study on the effect of lead acetate on the liver of cichlid fish Oeochromis nilticus (linnarus). J. Egypt. Ger. Soc. Zool., 29: 49-69. Abdelmeguid, N.E., 1999. Criteria characterizing tumor cells observed in the Helicobacter Pylori associated-gastric epithelial cells and predicting tumorgenesis. Pak. J. Biol. Sci., 2: 1155-1158. El-Mofty, M.M., N.E. Abdelmeguid, I.A. Sadek, A.E. Essawy and E. Abdel-Aleem, 1997. The use of toads (Bufo regularis) in a new biological assay for screening chemicals or drugs which induce leukaemia in man. Oncol. Rep., 4: 657-660. Adham, K., A. Kheirallah, Abou-Shabana, N. Abdelmeguid and A. Abdel-Moneim, 1997. Environmental stress in Lake Maryut and physiological response of Tilapia zillii Gerv. J. Environ. Sci. Health, 32: 2585-2598. Abdelmeguid, N.E., M.M. El-Mofty, I.A. Sadek, A.E. Essawy and E.A. Abdel-Aleem, 1997. Ultrastructural criteria that prove the similarities between amphibian and human tumors. Oncology, 54: 258-263. Elmofty, M.M., N. Abdelmeguid and A. Essawy, 1995. Pathological-changes of the blood-cells in griseofulvin treated toads. Oncol. Rep., 2: 167-170. Essawy, A.E., N. Abdelmeguid and Y. Hassan, 1994. The ultrastructure of the neural plexus in the foot musculature of the desert snail Eremina ehrenbergi. Funct. Dev. Morphol., 4: 17-19. Abdelmeguid, N.E. and J.M. Souror, 1992. A comparative ultrastructure study of the cardiac and skeletal striated muscles of the skink. Funct. Dev. Morphol., 2: 147-150. Abdelmeguid, N.E., 1991. Acrylamid alter the ultrastructure of the liver cells of the Egyptian toad. Funct. Dev. Morphol., 1: 39-40. Abdelmeguid, N.E., 1990. Effect of acrylamide toxicity on the ultrastructure of a single cell nyctotheroides model. Int. J. Parasitol., 20: 861-865. El-Mofty, M.M., N. Abdelmeguid, A.I. Michael and K.M. El-Marhomi, 1989. The use of cytoenzymological changes in some parasitic protozoa for screening the carcinogenicity of chemicals. Folia Morphol., 37: 394-401. Abdelmeguid, N.E., A.A. Ramadan and A.M. El-Katib, 1989. Effect of fast neutron doses (100-900 Rem) on the liver of albino Swiss mice. Folia Morphol., 38: 701-706. Abdelmeguid, N.E., 1989. Effect of isotretinoin on the fine structure of multiple syringomas. J. MRI, 10: 241-257. Sabry, I. and N. Abdelmeguid, 1988. Testosterone and its effect on spermatogenesis in the Egyptian toad. Folia Morphol., 36: 290-295. Ramadan, A.A., A.A. Azzat, N.A. Meguid, S.E. Khadre and S.H. Abdel-Aziz, 1988. Cyclic histological changes in the pituitary gland of Sparus aurata in correlation to the gonadal cycle. Folia Morphol., 36: 113-124. El-Mofty, M.M., N. Abdelmeguid, A.E. Michael and K.M. El-Marhomi, 1988. A quick test for screening the carcinogenicity of certain chemicals, using various protozoan parasites. Folia Morphol., 36: 350-356. Ramadan, A.A., A.A. Ezzat, S.E.M. Khadre, N.A. Muguid and Aziz El-Sha, 1987. Seasonal histological changes in the ovary of Sparus aurata, a hermaphrodite teleost marine fish (Family: Sparidae). Folia Morph., 35: 251-264. Ramadan, A.A., A.A. Ezzat, S.E. Khadre, N. Abdelmeguid and E.S. Aziz, 1987. Spermatogenesis in the marine hermaphrodite teleost fish Sparus aurata. Folia Morphol., 35: 154-160. Ramadan, A.A., A.A. Ezzat, S.E. Khadre, N. Abdelmeguid and E.S. Aziz, 1987. Cytological and cytochemical changes in the ovary of Sparus aurata during the annual reproductive cycle. Folia Morphol., 35: 237-250. Ramadan, A.A., A.A. Ezzat, S.E. Khader, N. Abdelmeguid and E.S. Aziz, 1987. Seasonal changes in the testis of the marine teleost fish Saparus aurata. Folia Morphol., 35: 161-169. Ramadan, A.A., A.A. Ezzat, N. Abdelmeguid, S.E. Khadre and E.S. Aziz, 1987. Seasonal histological changes in the pituitary gland of Sparus aurata. Folia Morphol., 35: 274-282. Ramadan, A.A., A.A. Ezzat, N. Abdelmeguid, S.E. Khadre and E.S. Aziz, 1987. Seasonal changes in the cytology and cytochemistry of the pituitary gland of Sparus aurata. Folia Morphol., 35: 283-297. Sadek, I.A. and N.E. Abdelmeguid, 1986. Enhancement of liver tumor in the Egyptian toad by oral contraceptive steroids. J. Nutr. Growth Cancer, 3: 239-244. Ramadan, A.A., S.E.M. Khader, N.E. Abdelmeguid and W.Y. Bader, 1986. Effect of methotrexate (MXT) on the testicular proteins, DNA and RNA of Muss musculus. Folia Morphol., 34: 314-321. Ramadan, A.A., S.E. Khadre, N. Abdelmeguid and W.Y. Bader, 1986. Behavior and fertility of albino Swiss mice after the administration of MXT. Folia Morphol., 35: 322-330. Ramadan, A.A., S.E. Khader, N. Abdelmeguid and W.Y. Bader, 1986. The distribution of lipids and carbohydrates in normal and methotrexate (MXT)-treated mouse Mus musculus testes. Folia Morphol., 35: 363-371. Ramadan, A.A., N.E. Abdelmeguid, S.E.M. Khder and W.Y. Bader, 1986. The histopathological effect induced by methotrexate (MXT)-on the testis of Mus musculus. Folia Morphol., 35: 1-12. Ramadan, A.A., N. Abdelmeguid, S.E. Khadre and W. Bader, 1986. Cytological study of normal and methotrexate (MXT)-treated testis of Mus musculus. Folia Morphol., 34: 395-401. Ramadan, A.A., A. Amin, N.E. Abdelmeguid and W.Y. Bader, 1985. A comparative study of two reptilian muscles. IV. A cytochemical study of striated and cardiac muscle. Folia Morphol., 33: 391-397. Ramadan, A.A., A. Amin, N.E. Abdelmeguid and W.Y. Bader, 1985. A comparative study of two reptilian muscles. III. A cytological study of cardiac and striated muscles. Folia Morphol., 33: 287-293. Abdelmeguid, N.E., A.A. Smail and I.A. Sadek, 1985. Effect of Vitamin A palmitate on the activity of diphosphopyridine nucleotide in hyperplastic skin of toad induced by DMBA. Folia Morphol., 33: 156-158. Ramadan, A., A.M. Ismail and N.E. Abdelmeguid, 1984. Psoriasis before and after methotrxate (MXT) treatment I. The Golgi apparatus and phosphates. Folia Morphol., 22: 257-262. Ramadan, A., A.M. Mehassin, A.M. Amin and N.E. Abdelmeguid, 1983. Psoriasis before and after methotrxate (MXT) treatment. II. Localization of mitochondria and dehydrogenase. Folia Morphol., 31: 341-344. Abdelmeguid, N.E., I.A. Sadek and A. Ismail, 1983. Retinyl palmitate and its role on enzymes in the skin papillomas of the Egyptian toad. J. MRI., 4: 177-182. Sadek, I.A. and N.E. Abdelmeguid, 1982. Ascorbic acid and its effects on the skin of Bufo regularis. Oncology, 39: 399-400. Ramadan, A.A., N.E. Abdelmeguid, A. Amin and W.Y. Bader, 1982. A comparative study of two reptilian muscles. I. Histology of striated muscles. Folia Morphol., 32: 293-300. Ramadan, A.A., A. Amin, N.E. Abdelmeguid and W.Y. Bader, 1982. A comparative study of two reptilian muscles. II. Cytochemical study of striated and cardiac muscles. Folia Morphol., 32: 293-303. Ramadan, A.A. and N.E. Abdelmeguid, 1979. Annelid nerve cells, III. Topographic relationship of the Golgi apparatus and alkaline phosphates and the problem of neurosecretion in Allolobophora. Folia Morphol., 26: 42-47. Ramadan, A.A. and N.E. Abdelmeguid, 1979. Annelid nerve cells, I. Distribution of neurons in central nervous system of Allolobophora caliginous with special reference to neurosecretion. Folia Morphol., 26: 368-378.